Dr. Chris Parsons has been involved in whale and dolphin research for over two decades and has been involved in research projects in every continent except Antarctica. Dr. Parsons is an Associate Professor at George Mason University as well as the undergraduate coordinator for their environmental science program. 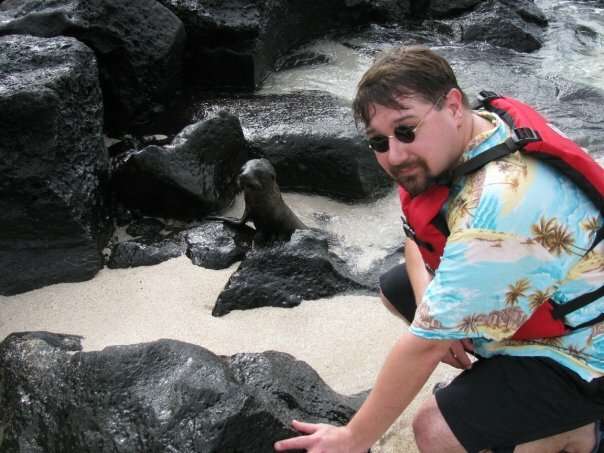 He’s a member of the scientific committee of the International Whaling Commission (IWC), has been involved in organizing the International Marine Conservation Congress (IMCC) (the world’s largest academic marine conservation conference) and is currently the Conference Chair and a Governor of the Society for Conservation Biology. In addition, Dr. Parsons has published over 100 scientific papers and book chapters and has written a textbook on marine mammal biology & conservation. At a recent conference of marine scientists I attended, one of the speakers announced, albeit tongue in cheek, that they “hated dolphins”. This prompted a round of applause and cheers from the largely marine biologist audience, much to the chagrin of the marine mammal researchers in the audience (there were several, and almost all of these were involved in marine mammal conservation).That sort of attitude unfortunately is common in the marine biology community. There seems to be a misapprehension that dolphin researchers get all the glamour, glory and funding, and to paraphrase Yoda, this leads to hate, and hate leads to suffering. I’ve been studying dolphins (mostly in conservation-focused research) for over 20 years, and admittedly it has led to some rather nice trips on boats, sometimes in warm tropical locations. But it has also been 20 years with marine biologist colleagues constantly commenting that dolphin research is not “real marine biology” – even to the extent of having a reviewer say that, in response to a manuscript. Within the marine mammal science professional societies this has led to the rather unfortunate situation where: (a) marine mammalogists keep themselves to themselves with their own journals and conferences and not mixing with many other streams of marine biology; (b) there is such a fear of being seen as “not a real scientist” that within the marine mammal science community there is frequently a stigma against doing any applied, or interdisciplinary, or non-pure science research, including research that is conservation-oriented. This is at a time when such research is drastically needed, with so many cetacean species being endangered. In fact, a study on cetacean science literature determined that about half of the studies could be important to conservation, but unfortunately much of the information lies locked within the ivory tower, and the relatively few ivory towers of marine mammalogists at that.